Magnetic brooms allow for the collection of metal impurities on the floors (metal shavings, nails, grind dust) in workshops, factory halls or parking lots. Due to the adjustable drive, magnetic brooms are usable also on unpaved surfaces. 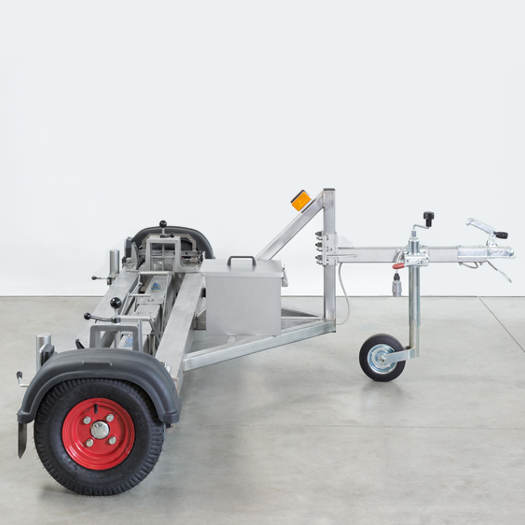 The model type with wheels located at the rear is ideal for cleaning directly close to the machine or wall. 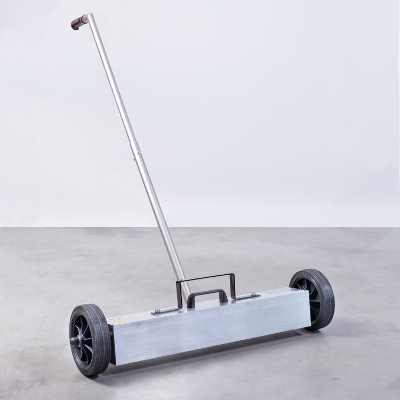 Magnetic brooms allow for the collection of metal impurities on the floors (metal shavings, nails, grind dust) in workshops, factory halls or parking lots. Due to the adjustable drive, magnetic brooms are usable also on unpaved surfaces. The model type with neodymium magnets is characterized by high efficiency when cleaning. 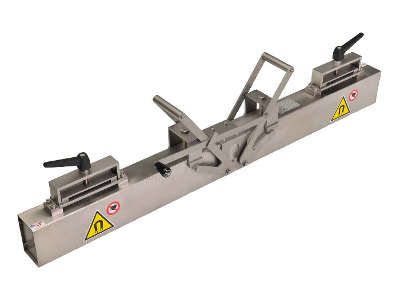 Magnetic brooms with the width of 1000 mm find a particular application in the cleaning of larger areas. Using these brooms you save time spending on cleaning and prevent the swirling of dust during sweeping. The brooms are equipped with an auxiliary stand to facilitate handling during cleaning. Magnetic brooms for the forklift trucks are easy to be put on the forklift skids.  They are intended primarily to collect metal impurities over large areas. The brooms are well handled and easy to clean. 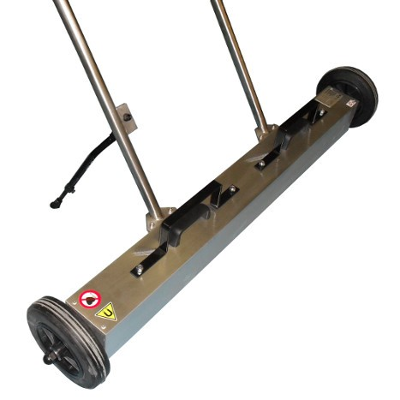 Magnetic broom serves to a collection of the metal magnetic impurities – there is a significant decrease of the risk of tire defects. 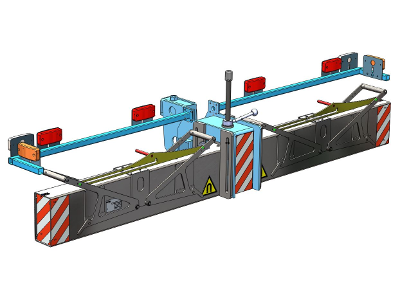 It is attached to car tow-bar quite easily, and the metals are collected during the ride automatically. 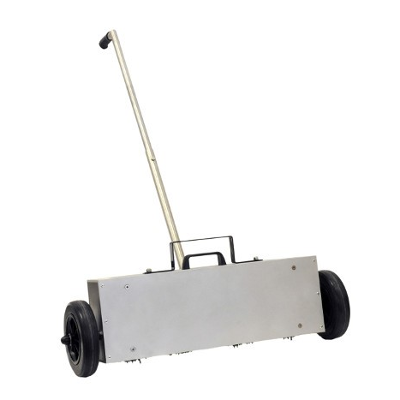 Position the magnetic broom for cleaning carriers simply in the front or rear cleaning carrier part. The broom is designed especially for metal impurity collection within extensive areas. The broom is easy to be handled and cleaned. This magnetic broom serves to a collection of the metal impurities (metal shavings, nails, metal brush bristles) from the airport areas. 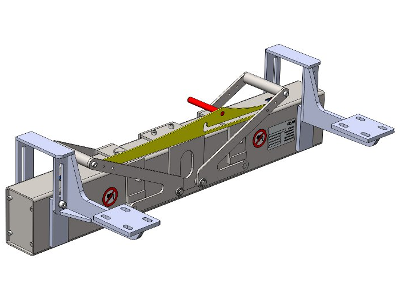 The broom can be easily connected behind a car equipped with a towing element. When using the magnetic broom, occurrence of undesirable metal objects on the airport area can be reduced.